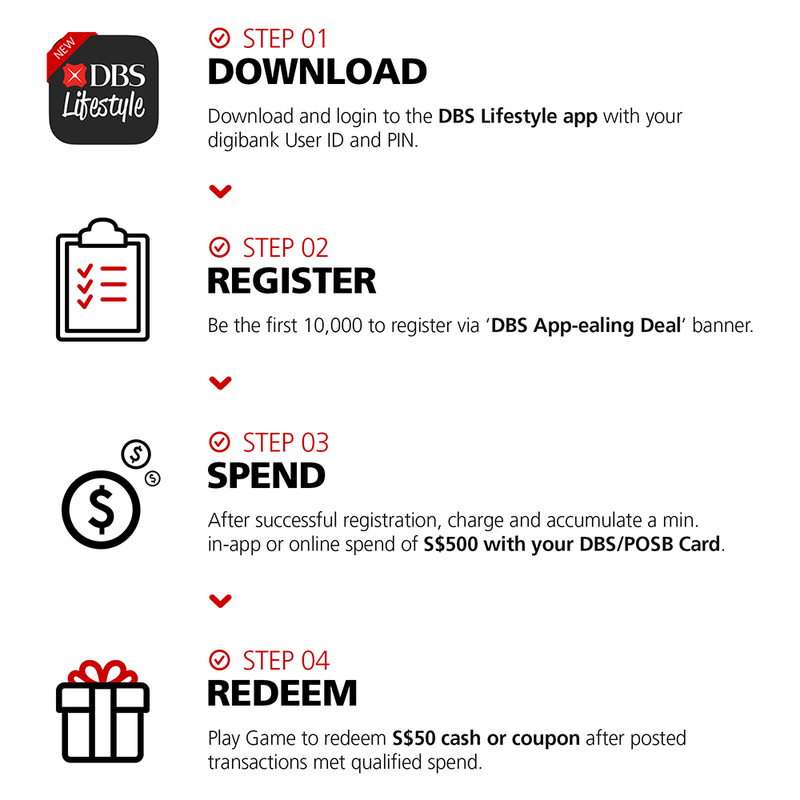 Enjoy S$50 cash or coupon when you spend in-app or online with DBS/POSB Cards today! 29 March - 30 June 2018. Hurry, limited to 10,000 registrations only!